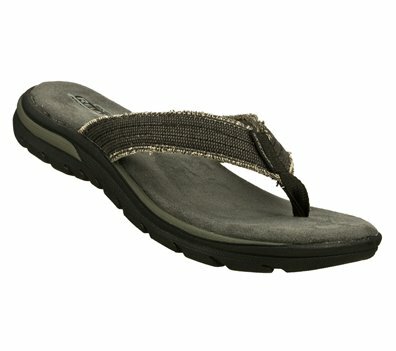 So much comfort and beach-ready style comes in the SKECHERS Relaxed Fit®: Supreme - Bosnia sandal. Soft woven canvas fabric upper in a flip flop casual comfort thong sandal with stitching accents and Memory Foam 360 cushion design. Very comfortableCushioned sole makes it easy to stand all dayI fish professional bass tournaments and I need a sandal that is durable and comfortable and this shoe fits the bill.